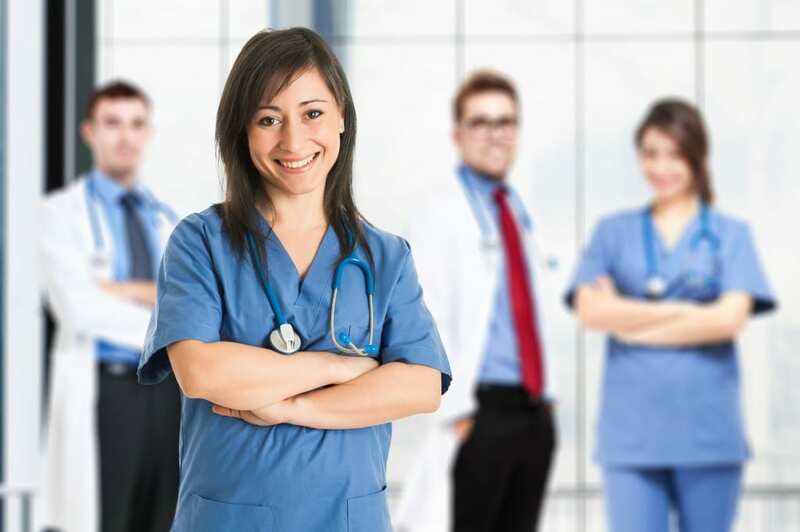 Prospective CNAs looking for work in NY must complete a state approved training program and get certification from the New York State Nurse Aide Registry. Approved New York State CNA classes provide at least 120 hours of instruction, which includes a minimum 30 hours of clinical training. Most institutions achieve that requirement with four weeks in-house training and one week of clinical training at an appropriate facility. Free training may be available for New York residents through organizations such as the Visiting Nurse Service and Adult Learning Centers. However, it’s worthwhile to consider the paid options below if you want a fast and reliable training option. EOC provides free CNA classes to Buffalo residents. The preparatory class equips students with the necessary skills to pass the state exam. Since the EOC is a certified testing site, students can train and take the test at the same facility. Applicants accepted into the program do not have to pay for tuition, but will need to pay the cost for the state exam and background screening. Prospective students must submit proof of income, proof of residency, and high school diploma with application. An average of 300 students graduate from the McGuire Career Center’s every year. Participants get all the classroom, clinical, and hands-on training they need to complete the New York State exam. The training extends for four months, and successful students have the opportunity to join the staff of professional CNAs in the McGuire Group. Graduates are eligible to apply for the state certification exam after complete teh full 122 hours of classroom and clinical training. Class schedules and tuition are subject to change, so use the contact information below to find out about training. Several times throughout the year, the Adult Education Division of Buffalo Public Schools offer low-cost CNA training to interested New York residents. Applicants must take a pre-course reading and math test before enrollment. Other requirements include a high school diploma, benefits card (if receiving benefits from social services), and social security number. The program runs for six weeks, and the $1175 fee does not include the cost of the state exam, books, and scrubs. Day or evening classes are available. Use the contact information below to request a schedule for the next available training. The 4-week 140-hour certified nursing assistant program at the Erie 1 BOCES Workforce Development Center prepares students for the New York State Certification Exam. Students spend 100 hours in the classroom learning the principles of ethical practice and developing basic nursing skills. The final 40 hours of the program are completed in a clinical environment where students apply the skills they learned to care for patients under the supervision of a registered nurse instructor. New classes begin every other month. Class times are Monday through Friday from 8:00 am to 4:00 pm. Interested persons must attending an orientation and testing session at the Workforce Development Center. Tuition costs $1,600. The Catholic Health System offers paid CNA training. The training meets New York State standards so graduates are eligible to take the certification exam. The curriculum will comprise of classroom lectures and a clinical practicum. Key topics covered include infection controls, laws and ethics governing practice, the role of the nursing assistant, and assisting residents with the activities of daily living. Upon completion of the program, graduates can take the state certification exam and transition to a position at any one of the CHS long-term care facilities. Interested persons must have a high school diploma or GED or pass a proficiency exam. They must also be able to speak and write English, have excellent communication skills, and meet the physical requirements for the program. Elderwood facilitates a state-approved program for persons wishing to become a Certified Nursing Assistant. Students learn how to meet the physical and emotional needs of residents under the direction of a licensed nurse. The program includes classroom lectures and supervised clinical experiences, giving students the opportunity to apply their knowledge in a real-world setting. The clinical training will take place at an Elderwood facility. The program runs for three weeks and covers 100 hours of theory and hands-on experiences. It will cover nutrition, infection control, role and responsibilities, vital signs, communication, safety and emergency procedures, and rehabilitation. Students who successfully complete the program and obtain certification will be selected for employment at an Elderwood facility. Training and certification must be completed with 120 days of the training start date.